Cinderella : A Fairytale Opera | Rhea Lopez, Reuben George | OK Listen! 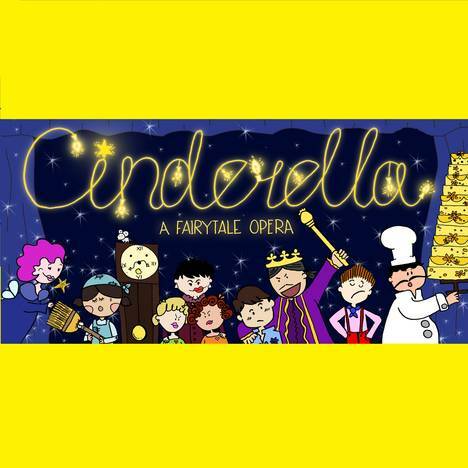 Based on the classic fairytale of the same name, 'Cinderella: A Fairytale Opera' reworks the figure of Cinderella from your typical damsel-in-distress to a plucky young heroine. She simply yearns to see what the world beyond her cellar has to offer (hopefully some cake!). Add a Prince who doesn't even want to attend his own ball, and you have a funny start to this magical adventure! Featuring completely original compositions and lyrics, this musical adaption includes a range of memorable numbers by a cast of quirky characters that will make you want to sing along in no time at all! A stage production of 'Cinderella' was first performed by the Shakespeare Society of St. Stephen's College in 2013 - for more information about the production, including photos, videos and rehearsal material, do check out our facebook page.